Communism refers to a theory for revolutionary change and political and socioeconomic organization based on common control of the means of production as opposed to private ownership. While communism or Marxism-Leninism, as it is known, champions economic justice, it views social revolution and the violent overthrow of the existing social order as essential components in the process. At its roots, Marxism-Leninism is atheistic and materialistic. The underpinnings of Karl Marx’s theory was based upon atheistic materialism. Marxism denied the existence and the reality of any deity. Marx explicitly distinguished his communism from previous “utopian” religious or ethical socialisms. In his early writings Marx viewed religion as a deliberate distraction meant to lead the oppressed to divert their attention to what he viewed as fabricated otherworldly concerns rather than address the exploitation that resulted from capitalism and previous class-based models of society such as feudalism and the slave society. A major force in world politics since the early twentieth century, modern communism is generally associated with the theories of Karl Marx and Friedrich Engels, as expressed in works such as The Communist Manifesto (1848), The Dialectics of Nature (1883), Anti-Duhring (1877), and Das Kapital, (1863) as well as seminal works of Vladimir Lenin such as What is to be done? (1901) and Imperialism—The Highest Stage of Capitalism. (1916) According to Marxist theory of Political Economy, Dialectical Materialism and Historical Materialism, the capitalist profit-based system of private ownership is rooted in exploitation and is rife with internal contradictions. According to Marx, capitalism produces alienation in the working class because of private ownership of the means of production by the ruling class and an economic system where profit is wholly based on exploitation of the labor class. The internal contradictions within capitalism, especially the ownership of the labor class work product by the capitalists led to laborers feeling alienated from the products of their labor, their labor itself, their own essential human identity (species-essence) and their fellow workers. Marx maintained that this alienation would be exacerbated over time and that the capitalist system would experience economic breakdown and social disorder due to laborers being replaced by machinery. Because of the Marxist axiom that only labor can produce profit this would lead to a decrease in profits and an increase in poverty leading to worker dissatisfaction and eventually a revolutionary overthrow of the bourgeoisie by the proletariat, that is, a revolutionary, enlightened labor class. Following this social revolution, capitalism would be replaced by a socialist society in which the means of production would be controlled by the workers. Socialism would represent a transitional stage under the dictatorship of the proletariat. This would be followed by a withering away of the state and the emergence of communism. As a political movement, communism seeks to overthrow capitalism through a workers' revolution and establish a classless society. Marxist theory did not, in fact, find its fulfillment and expression in any actual communist revolution. It was precisely in the developing countries, not the industrialized capitalist nations where the so-called "communist" revolutions occurred. The theory of Marxism was adapted by revolutionaries, such as Vladimir Lenin and Mao Zedong into new theories that often placed intellectuals rather than laborers in the leadership roles of what Lenin described as the Revolutionary Vanguard. Hence, instead of focusing on capitalist industrialized states, virtually all communist revolutions transpired in feudal agrarian-based societies. These revolutions were typically led by bourgeois class intellectuals and supported by peasants. The word communism is now mainly understood to refer to life under conditions of Communist party rule, which since 1989 has dwindled to only a few states, such as North Korea, Vietnam, and Cuba. Communism in the twentieth century proved to be one of the most heinous perpetrators of violence and genocide. There is broad consensus that communism took the lives of at least 100,000,000 people, as documented in the writings of French author Stephane Courtois and the Hoover Institution scholar Robert Conquest. Communism maintains that history has gone through a process of necessary revolutions which have focused on which sector of society controls the means of production. In accord with communist theory the first human society was organized into a primitive communal system in which the means of production were shared by all members of that society. Marxism traces human history across several class based social systems following the collapse of the primitive communal society. Included in these class societies are the slave society, the feudal society, and capitalist society. In his early writings Marx maintained that, without exception, societies in all parts of the world went through the same process of social development and he postulated that movement from one level of class society to another was always characterized by revolution and the violent overthrow of the previous class-based society. Marx formulated communism within an atheistic framework. Marx denied any form of deity. In his doctoral dissertation (1841) he championed the Greek mythological figure Prometheus for his utterance, “I hate all the Gods.” Marx maintained that Prometheus should be the “patron saint” of all philosophers. When his writings in the Rheinische Zeitung, the newspaper that he edited upon completion of his doctorate, came under government attack, Marx had himself portrayed as Prometheus in a caricature in the paper. The Marxist theory of surplus value was an integral part of his whole system of thought, which consisted of economics, views of history, theories of emancipation, analysis of power and authority, and materialism. Marx diagnosed faults in the economic system to be the cause of social evils, and characterized human history as a process of class struggles between those who owned the means of production and those who did not, and presented communism as a classless society in which “people work according to ability and gain according to their needs.” Marx presented the communist economic system as a remedy to end all social evils that ever existed in human history. However, contrary to his vision, all communist or socialist states failed in their economy and were characterized by oppression in their political tactics. Without exception they became totalitarian police states with unimaginable levels of repression, using Lenin’s State and Revolution (1916) as well as Marx’s and Engel’s Communist Manifesto (1848) as a justification for such repression. Scholars often pointed to Stalin as the source of the problem, however it has become increasingly clear that repression and brutality originated with Lenin's rise to power in the Soviet Union, the first communist state. In the late nineteenth century, Marxist theories and, perhaps more importantly, his intent to improve the conditions of the working class motivated socialist parties across Europe. Responding to pressures from within the labor movement itself, European socialists largely tried to gain concessions for workers. Many of their initiatives contributed to a "reforming" of capitalism, rather than to its overthrow. This focus gained increasing popularity following the collapse of efforts by Karl Marx and Friedrich Engels to establish a unified laborer front in Europe (The First International). Vladimir Lenin took exception to efforts to reform capitalism rather than overthrow it. Lenin rejected the assertion by Eduard Bernstein that, while Marx's intentions were noble, the component parts of his theory were irreparably flawed. Lenin's Imperialism: The Highest Stage of Capitalism (1916) argued that Marx's economic theories were wholly accurate and that the reason why capitalism had not collapsed was due to the capitalist powers establishing overseas colonies where they could ship their goods, charge high prices, establish high interest rates for financing the purchase of such goods, and provide a portion of those profits to bribe their domestic labor class so that that class would remain complacent and unsupportive of efforts to overthrow the State. After the success of the October Revolution in Russia, communism became a social institution. Workers and Socialist parties in other countries tended to support the Communist Party of the Soviet Union, even if they did not agree with their internal policies. 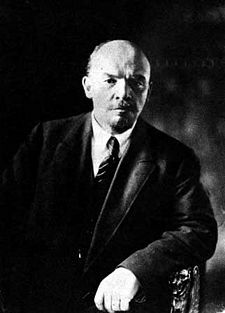 Parties in Europe, Asia and in the Americas pledged allegiance to Lenin’s Third International (1919) which was based on the ideology and methods used by Lenin to assume power. After World War II, regimes calling themselves communist took power with Soviet support in Eastern Europe. In 1948 a pro-communist regime was also established by Kim Il Sung in North Korea (Democratic Peoples Republic of Korea). In 1949 the Communists in China, led by Mao Zedong, came to power and established the People's Republic of China. By the early 1980s, approximately one-third of the world's population lived under Communism. The Communist Party USA was established in 1919. One of the reasons why the Communist Party lost much of its credibility was due to the strong opposition that the Communist Party USA had to any American involvement or support for military action against Nazi Germany. The Communist Party USA maintained this position until Adolph Hitler attacked the Soviet Union in 1940; hence the intentions of the Party in the United States became suspect. The Communist Party USA along with the French Communist Party were probably the communist parties that most closely followed the Soviet line. In Western Europe, communist parties were more mainstream. Since the early 1970s, the term "Eurocommunism" was used to refer to the policies of Communist Parties in Western Europe, which sought to break with the tradition of uncritical and unconditional support of the Soviet Union. Eurocommunists were politically active and electorally significant in Italy. With the collapse of the Communist governments in Eastern Europe in the late 1980s and the breakup of the Soviet Union in 1991, Communism's influence has virtually disappeared in Europe, but approximately one quarter of the world's population still lives under some type of Communist Party rule, primarily in the People's Republic of China, Vietnam, the Democratic People’s Republic of Korea, and Cuba. Although the Chinese Communist Party continues to have control over much of the political life of its country, its economic and political reforms contradict much of Marxist theory. China has instituted significant economic reforms and is gradually implementing expansion of the rule of law. In its contemporary form, communism grew out of the workers' movement of nineteenth century Europe. Yet the ideal of communism has roots in Western thought extending back to ancient Greece. Communitarian life is the major theme in Plato's Republic where Plato advocated for the sharing of property including wives and children. Communitarian life was also theme of early Christianity and of many of the monastic orders that followed. In the sixteenth century, English writer Thomas More, in his treatise Utopia, portrayed a society based on common ownership of property, whose leaders administered it through the application of reason. Criticism of the idea of private property continued into the Enlightenment era of the eighteenth century, through Jean-Jacques Rousseau. Utopian socialist writers such as Robert Owen and Henri de Saint-Simon are also regarded as precursors to Marxism. In March 1871 French revolutionaries established the Paris commune, the first attempt to establish a communist state. The failed revolution was heralded by Karl Marx—however it collapsed within a few weeks. Eduard Bernstein, in his 1895 Cromwell and Communism, argued that several groupings in the English Civil War, especially the Diggers (or "True Levellers") espoused clear communistic, agrarian ideals. As the Industrial Revolution advanced, socialist critics saw that capitalism had brought about an unskilled working proletariat, who toiled under harsh conditions, and argued that this development widened the gap between rich and poor. This was not the first time that thinkers and activists had called for more just and egalitarian conditions in society. Indeed appeals of such nature can be traced back for millennia. Karl Marx and Friedrich Engels saw capitalism as being based on the exploitation of workers. But while other socialists favored longer-term social reform within existing social structures, Marx’s theory called for a revolutionary movement of workers to overthrow the bourgeoisie. According to Marx's laws of economic movement, capitalism was destined to centralize wealth and power in fewer and fewer hands, creating group of owners that could then be overcome by the revolutionary proletariat. The ranks of the revolutionary proletariat would grow, according to Marx, because profit, as per Marx's economic axioms, could only come through labor. In the increasingly industrialized society that Marx depicted, laborers continued to be replaced by machines, which according to Marx's law, could not produce profit. Since Marx believed that the state had no independent role, but was merely an extension of the ruling class, he predicted that no systematic reform of capitalism would be possible. Only a revolution could displace powerful capitalists. In his depiction of historic development, Karl Marx argued that primitive communism was the original state of humankind. Marx postulated an original, classless state, but this state was not ideal, since it was not developed. The end of the original state paralleled the Christian myth of the "fortunate fall." Indeed in Das Kapital Marx refers to the emergence of the private control of the means of production as “the original sin.” Through feudalism and capitalism, humankind would develop its economic potential, but with an unjust system of distribution. In his writings Marx called for a revolutionary break with the past, which would lead humanity back through socialism and the dictatorship of the proletariat to a return to the ideal state of communism, but at a higher level of development than primitive communism. According to Marx’s arguments for communism, the main characteristic of human life in class society is alienation. The primary form of alienation is the worker being alienated from the product of his work. Communism provides a vehicle for overcoming alienation by allowing the workers to feel a sense of ownership over the product of their labor after the overthrow of capitalism. This would lead, in turn, to the full realization of human freedom and human potential. Marx here follows G. W. F. Hegel in conceiving of freedom as not merely an absence of constraints but as action having moral content. According to Marx, not only does communism allow people to do what they want, but it also puts humans in such conditions and such relations with one another that they would not have the need to exploit others. For Hegel, the unfolding of this ethical life in history is mainly driven by the dialectical relations of ideas. For Marx, communism emerged from a dialectical process in history that led to changes in the control of the means of production and would culminate in communism and shared ownership of the means of production. In the latter half of the nineteenth century the terms "socialism" and "communism" were often used interchangeably. However, Marx and Engels came to see socialism as an intermediate stage of society in which most productive property was owned in common, but with some class differences remaining. Because the possibility for counter revolution and a return to capitalism existed, Marx and Engels and Lenin emphasized the need for establishing a dictatorship of the proletariat during the socialist stage of development toward communism. Marx and Engels reserved the term communism for a final stage of society in which class differences had disappeared, people lived in harmony, and government was no longer needed. Later writers modified Marx's vision by allotting a central place to the state in the development of such societies, by arguing for a prolonged transition period of socialism prior to the attainment of full communism. Some of Marx's contemporaries, such as the anarchist Mikhail Bakunin, espoused similar ideas, but differed in their views on how to reach a harmonic society with no classes. To this day there has been a split in the workers movement between Marxists (communists) and anarchists, although the anarchists have been a decided minority. The anarchists are against, and wish to abolish, every state organization. Among them, anarchist-communists believe in an immediate transition to one society with no classes, while anarcho-syndicalists believe that labor unions, as opposed to Communist parties, are the organizations that can help usher in this society. In Russia, Lenin's Bolsheviks undertook the modern world's first effort to build socialism on a large scale following the October Revolution of 1917. This resulted in significant theoretical and practical debates about communism among Marxists themselves. Marx’s theory had predicted that revolutions would occur in countries where capitalist development was the most advanced and where a large working class was already in place. Russia, however, was the poorest country in Europe with an enormous, illiterate peasantry and little industry. Under these circumstances, it was necessary for the communists, according to their ideological mission, to create a working class before communism could ever hope to be realized. For this reason, the socialist Mensheviks opposed the Bolshevik revolution on the grounds that the socialist revolution could not take place before capitalism had been established. In seizing power, the Bolsheviks found themselves without a program beyond their pragmatic and politically successful slogans "peace, bread, and land," which had tapped the massive public desire for an end to Russian involvement in the First World War and the peasants' demand for land reform. The usage of the terms "communism" and "socialism" shifted after 1917, when the Bolsheviks changed their name to the Communist Party and installed a single-party regime devoted to the implementation of socialist policies. Under Vladimir Lenin, the Bolsheviks broke completely with the moderate socialist movement, withdrew from the Second International, and formed the Third International, or Comintern, in 1919. Henceforth, the term "communism" was applied to the ideology of the parties founded under the umbrella of the Comintern. Their program, renamed Marxism-Leninism after Lenin's theoretical alterations to Marxism, called for uniting the workers of the world for revolution, which would be followed by the establishment of a dictatorship of the proletariat and the development of a socialist economy. Ultimately, their program asserted that a harmonious classless society would develop, and the state would wither away. In the early 1920s, the Soviet Communists formed the Union of Soviet Socialist Republics (U.S.S.R.), or Soviet Union, from the former Russian Empire. Following Lenin's theory of democratic centralism, Communist parties were organized on a hierarchical basis, with a network of active cells comprising the broad base. These cells were made up only of elite cadres approved by higher members of the party as reliable and completely subject to party discipline. During the Russian Civil War (1918–1920), the new regime nationalized all productive property. When mutiny and peasant unrest resulted, Lenin declared the New Economic Policy (NEP, 1923) which permitted some privatization and overseas investment. However, Joseph Stalin's personal fight for leadership spelled the end of the NEP, and he used his control over personnel to abandon the program. The Soviet Union and other countries ruled by Communist parties came to be described as “Communist states” with “state socialist” economic bases. This usage indicated that they proclaimed to have realized part of the socialist program by establishing communist party rule, abolishing private control of the means of production and establishing state control over the economy. One of the most important aspects of Lenin’s reform of Marx’s theories was his decision to replace the dictatorship of the proletariat with the dictatorship of the revolutionary vanguard. In What is to be Done (1901) Lenin maintained that by themselves the workers would never achieve the realization of the proletarian identity. He maintained that a revolutionary vanguard composed of revolutionaries who were often the sons of bourgeois families would be responsible for instilling the proletarian identity and values into the working class. Vladimir Lenin himself was trained as a lawyer and Stalin had been a seminarian. After Lenin's death in 1924, there was a struggle for power between Joseph Stalin and Leon Trotsky. Trotsky’s and Stalin’s views differed on how to advance world communism. 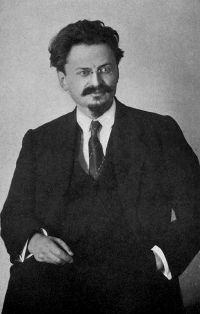 Trotsky, who had played a key role in the victory over the White Russians (opponents to the Bolshevik revolution), favored “permanent revolution” emphasizing that the Soviet Union should support revolutionary efforts wherever such opportunities presented themselves. Stalin on the other hand emphasized the need to establish one strong socialist state before promoting revolution elsewhere. Attempts by Trotsky and his supporters to remove Stalin from power resulted in Trotsky's exile in 1929. After Trotsky's exile, world communism fractured in two distinct branches: Stalinism and Trotskyism. Trotsky later founded the Fourth International, a Trotskyist rival to the Comintern, in 1938. He was assassinated in Mexico in 1940 by a Soviet agent. Though Trotskyism remained popular in the West among certain more radical elements, the ideology was never accepted in Communist circles in the Soviet bloc, even after Stalin's death; nor has Trotsky's interpretation of communism ever been successful in effecting a revolution that would bring about the overthrow of a state. However, Trotskyist ideas have occasionally found an echo among political movements in countries experiencing social upheavals (such is the case of Alan Woods's Trotskyist Committee for a Marxist International, which has had contact with President Hugo Chávez of Venezuela). Most Trotskyist parties today are active in politically stable, developed countries (such as Great Britain, France, Spain, and Germany). Joseph Stalin assumed power in the Soviet Union following the death of Vladimir Lenin in 1924. Stalin had great skills in administration and in building a loyal bureaucracy. While Trotsky was busy with military exploits, Stalin realized the bureaucratic network that facilitated his rise to power. Stalin attempted to build communism via a massive program of industrialization and collectivization. The program of collectivization sparked oppression and famine in many parts of the Soviet Union, most notable in Ukraine. The rapid development of industry, and above all the emergence of the Soviet Union as one of the victors in the Second World War, made Stalin a renowned figure in much of the communist world. A significant contribution that Stalin made to Marxism-Leninism was his emphasis on socialism in one country, which claimed that due to the "aggravation of class struggle under socialism," it was possible, even necessary, to build socialism in a single country. This theoretical innovation was largely based on the practical need to develop Soviet industry to compete with the Western industrial powers. To achieve this, Stalin undertook a dramatic and unprecedented social transformation of Russian society. Stalin wrote on a variety of ideological themes but he had a particular interest in refining Marxism’s views on dialectical and historical materialism. The Soviet Union was weakened politically and militarily because of many of the policies pursued by Joseph Stalin. Stalin’s show trials of the late 1920-1930s led to elimination of all of Stalin’s political rivals including Sergey Kirov, Gregory Zinoviev, Lev Kamenev, Georgy Pyatakov, Nikolai Bukharin. This also led to the execution of more than thirty thousand top military officers. Because of the distrust, fear and animosity that the show trials created, the Soviet Union was in a weakened state and Stalin even tried to establish an alliance with Nazi Germany. To do this Stalin was obliged first of all to replace his foreign minister Maxim Litvinov who was a Jew with Vyacheslav Molotov, a non-Jew. The pact signed by Vyacheslav Molotov and Nazi foreign minister Joachim Von Ribbentrop recognized that the two countries shared much in common in their ideological perspectives including a common animosity towards democratic powers. It was a pledge that neither power would aggress against the other. British historian Paul Johnson in Modern Times (1980) maintains that Hitler was the only leader that Stalin felt that he could trust. However when Germany’s attacks on Great Britain floundered in 1940 Hitler did not hesitate to announce a second war front- the Soviet Union. In 1940 after Nazi Germany broke the Molotov-Ribbentrop Pact and invaded the Soviet Union, Stalin was drawn into World War II. In the aftermath of the war, the Soviet Union established a sphere of influence over Eastern Europe, installing communist regimes in Albania, Bulgaria, Czechoslovakia, East Germany, Poland, Hungary, and Romania, as well as the Baltic States. The Soviet Union suffered some twenty million casualties during the Second World War. The hallmark of Stalinism was characterized by Stalin's own personal aggrandizement through a cult of personality and his paranoia, which led to the rise of the secret police (KGB) with sweeping powers and the Great Purges. Under Stalin the Soviet Union became a thoroughly repressive state that dominated every aspect of life. After Stalin's death, the Soviet Union's new leader, Nikita Khrushchev admitted the enormity of the repression and undertook a de-Stalinization program after the 20th Congress of the Communist Party in 1956. Communism, particularly the Soviet sphere of influence, had been vastly strengthened by the incorporation of the nations of Eastern Europe into what became the Warsaw Pact. In addition to the creation of Soviet client states in Eastern Europe, other indigenous Marxist revolutions succeeded in the years after World War II. Most important among these new revolutions were the ones that brought Kim Il Sung to power in North Korea (1948) and Mao Zedong to power in China (1949). By the end of 1949 the Chinese Communists held all of China except Taiwan, thus controlling the most populous nation in the world. In 1950 North Korea attacked South Korea, marking the first military confrontation between communism and the West. This conflict eventually involved Russia, the People’s Republic of China, the United States, Japan and the United Nations. The United Nations supported a General Assembly resolution authorizing the United Nations coalition of military forces under General Douglas MacArthur to deter North Korean aggression. In Europe, a Communist government was created under Marshal Tito in Yugoslavia. However, Tito's independent policies led to the expulsion of Yugoslavia from the Cominform, which had replaced the Comintern, and Titoism, a new branch in the world communist movement, was labeled "deviationist." Other areas where rising Communist strength provoked dissension and in some cases actual fighting included Laos, many nations of the Middle East and Africa, and, especially, Vietnam. With varying degrees of success, Communists attempted to unite with nationalist and socialist forces against Western imperialism in these poor countries. In 1959 communism established a beachhead in the Western hemisphere when Fidel Castro assumed power in Havana. The Soviet Union had some success in supporting national liberation movements in Southeast Asia and in Africa. However Soviet efforts in Uruguay, Argentina, Brazil, and Chile largely failed. By the end of the 1970s the Soviets agreed to rely on Castro for their strategies of advancement in Central and South America. In 1979 the pro-communist Sandinista government came to power in Nicaragua. Following the fall of Vietnam to pro-communist forces in 1975 communism made rapid inroads and by 1979, Vietnam, Laos, Cambodia, Afghanistan, Ethiopia, Mozambique, Angola, Cape Verde, Guinea-Bissau, Benin, Grenada, and Nicaragua had all fallen into the Soviet sphere of influence. 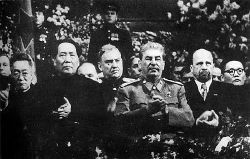 Mao Zedong at Stalin's side on a ceremony arranged for Stalin's 71th birthday in Moscow in December 1949. Mao Zedong made numerous important contributions to communist revolutionary theory and tactics, especially outlining the ways in which revolution could succeed in agrarian states such as China. Mao’s relationship with Stalin was a difficult one however his relationship with the Soviet Union was further exacerbated by Nikita Khrushchev’s denunciation of Stalin’s crimes and his cult of personality at the 20th Congress. Mao was deeply disturbed that he was not informed of this denunciation in advance nor was he invited to share his views on this stance. Khrushchev’s rise to power demonstrated that communism was not truly "international" in character. If it had been, Mao rather than Khrushchev would have been viewed as the new ideological and revolutionary heir to Stalin. Khrushchev was a bureaucrat whereas Mao was a revolutionary who had succeeded in communizing the most populated country in the world. The 20th Congress and Khrushchev's reforms heightened ideological differences between China and the Soviet Union. A Sino-Soviet Split took place within the international Communist movement and this led to open hostility and military confrontations between the two powers over border issues. Maoist China portrayed itself as a leader of the underdeveloped world against the two superpowers, the United States and the Soviet Union, with Maoism gaining recognition worldwide as a new branch of Marxism. Unlike most other political ideologies, including other socialist and Marxist ones, Maoism contains an integral military doctrine and explicitly connects a military strategy in its political ideology. In Mao's famous dictum "political power comes from the barrel of the gun," he argued that the peasantry can be mobilized to undertake a "people's war" of armed struggle involving guerrilla warfare. Maoism emphasized revolutionary mass mobilization and the creation of village-level industries independent of the outside world. Deliberate organizing of mass military and economic power was deemed necessary to defend the revolutionary area from outside threat, while centralization kept corruption under supervision. A key concept that distinguishes Maoism from other left-wing ideologies is the belief that the class struggle continues throughout the entire socialist period as a result of the fundamental antagonistic contradiction between capitalism and communism. Even when the proletariat has seized state power through a socialist revolution, the potential remains for the bourgeoisie to restore capitalism. Indeed, Mao famously stated that "the bourgeoisie [in a socialist country] is right inside the Communist Party itself," implying that corrupt party officials would subvert socialism if not prevented. This was the main reason for the Great Proletarian Cultural Revolution, in which Mao exhorted the public to "bombard the [party] headquarters!" and wrest control of the government from bureaucrats (such as Liu Shaoqi and Deng Xiao Ping), who were perceived to be returning the country to capitalism. Mao's doctrine is best summarized in the Little Red Book of Mao Zedong, which was distributed to everyone in China as the basis of revolutionary education. This book consists of quotations from the earliest days of the revolution to the mid-1960s, just before the beginning of the Cultural Revolution. Reviews of Mao’s rule are mixed. Mao’s Cultural Revolution left millions dead and his apparent unswerving commitment to personal revolutionary immortality led to millions of Chinese being deprived of education and human security during the Cultural Revolution. Nevertheless, under Mao, China emerged again as a sovereign power that was to be a key player in world developments. In 1985 Mikhail Gorbachev became chairman of the Communist Party in the Soviet Union. He attempted to address the stagnation that had set in during the Brezhnev era and in the Andropov and Chernenko interregnum through a program of glasnost (openness) and perestroika (restructuring), designed to relax central control and introduce some market innovation. In foreign policy, Mikhail Gorbachev eventually refused to continue to enforce the borders of its communist satellites in Eastern Europe. When Hungary stopping policing its borders, allowing refugees from all across Eastern Europe to stream into the West, the iron curtain collapsed. The Berlin Wall was torn down and street demonstrations brought down communist regimes in East Germany and Romania, while other states underwent more peaceful transitions. All had abandoned Communist rule by 1990. Then, in 1991, hard-liners within the CPSU attempted to roll back some of Gorbachev's reforms through a coup d'etat. When the coup failed, the Soviet Union collapsed, and was dissolved on December 25th, 1991. The end of the Cold War was sealed in 1987 when following the Reykjavik talks between Ronald Reagan and Mikhail Gorbachev when Ronald Reagan refused to end American support of the Strategic Defense Initiative. When the Soviets accepted that the United States could continue this research this implied that the Soviet Union also resigned itself to accepting US military superiority over the Soviets. The era of nuclear parity and mutually assured destruction had thus ended and the United States had emerged as the sole remaining superpower. As the Soviet Union divested itself of its claims on Afghanistan, Nicaragua, Eastern Europe and Africa, these states and most of the republics of the Soviet Union began to opt for a democratic model of governance. At the beginning of the twenty-first century, Communist parties still held power in China, Cuba, Laos, North Korea, and Vietnam. However, China has reassessed many aspects of the Maoist legacy in China, and Laos, Vietnam and, to a lesser degree, Cuba have reduced state control of the economy in order to stimulate growth. In North Korea, power passed from father to son (Kim Il-sung to Kim Jong-il). Communist parties, or their political heirs, remain politically important in many European countries and throughout the Third World, particularly in India; however, they have generally trended toward working within emerging capitalist societies rather than attempting to effect revolution or counter revolution. Today, Marxist revolutionaries are active in the countries of India, Nepal, Peru, Venezuela and Colombia, among others, but today they exist primarily on the fringe of society. Criticism of communism has come from many different camps, from communists and anti-communists alike. Marxist critics of the Soviet Union referred to the Soviet system, along with other Communist states, as "state capitalism," arguing that the Soviet system fell far short of Marx's communist ideal. They argued that the state and party bureaucratic elite acted as a surrogate capitalist class in the heavily centralized and repressive political apparatus. Anticommunists applied the concept of "totalitarianism" to these societies, criticizing their inefficient and unwieldy state bureaucracy and central planning regime and their repressive police state organs. A diverse array of writers and political activists have published anticommunist work, such as Soviet bloc dissidents Alexander Solzhenitsyn and Vaclav Havel, economists Friedrich Hayek, Ludwig von Mises, and Milton Friedman, and historians and social scientists Hannah Arendt, Robert Conquest, Richard Pipes and R. J. Rummel, among others. Some writers go beyond attributing large-scale human rights abuses to Communist regimes, presenting events occurring in these countries, particularly under Stalin, as an argument against the ideology of communism itself. Some of the most creative and insightful critiques of communism developed in France during the 1970s and 1980s through the writings of Bernard-Henri Levy, Max Glucksmann, and Jean-Marie Benoist. Levy's Barbarism with a Human Face was a sobering postmortem on the failed 1968 efforts of the reformist Czech leader Alexander Dubcek to create a new "socialism with a human face." Prague rejoiced only a short time before the Soviets opted for a brutal crackdown on reform efforts in August 1968 and a putsch that led to the full reintegration of Czechoslovakia into the Warsaw Pact. The Russian dissident Igor Shafarevich concluded that there are four basic principles manifested in the activities of communist states and ideologies: the abolition of private property, the abolition of the family, the abolition of religion and equality or the abolition of hierarchy in society. The most widely propagated systematic critique and counter-proposal to communism was developed by Reverend Sun Myung Moon of Korea. His critique surveyed and analyzed each of the ideological underpinnings of communism, including Marx's Theory of Alienation, the Labor Theory of Value, the Theory of Surplus Value, Lenin’s Theory of Imperialism, Dialectical Materialism and Historical Materialism. Introduced in his home country in the early 1950s, Moon’s theory was widely taught in Korea, Japan, the United States, Latin America, Africa, and inside the communist world itself. Among mainstream writers, Alexander Solzhenitsyn, a Soviet citizen and a Nobel Laureate, did the most to reawaken opposition to communism in the West. Solzhenitsyn's One Day in the Life of Ivan Denisovich (1962), The Cancer Ward (1968), and Gulag Archipelago (1973-1978) number among his writings that depicted the human tragedy of the Soviet system. ↑ Eduard Bernstein, Cromwell and Communism. marxists.org. Retrieved July 10, 2007. ↑ Karl Marx, The German Ideology.marxists.org. Retrieved July 10, 2007. ↑ Igor Shafarevich. The Socialist Phenomenon, trans. William Tjalsma (New York: Harper and Row, 1980), 194-201. Bernstein, Eduard, Cromwell and Communism. marxists.org. Retrieved July 10, 2007. 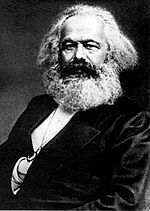 Marx, Karl, The German Ideology.marxists.org. Retrieved July 10, 2007. DeLeon, Daniel. Reform or Revolution? marxists.org. Engels, Friedrich. The Principles of Communism. marxists.org. Engels, Friedrich. Socialism: Utopian and Scientific. marxists.org. Lenin, V. I. Imperialism, The Highest Stage of Capitalism. marxists.org. Lenin, V. I. Materialism and Empirio-Criticism. marxists.org. Lenin, V. I. The Military Programme of the Proletarian Revolution. marxists.org. Lenin, V. I. One Step Forward, Two Steps Back. marxists.org. Lenin, V. I. The Right of Nations to Self-Determination. Lenin, V. I. The State and Revolution. Lenin, V. I. The Tasks of the Proletariat In Our Revolution. Lenin, V. I. Two Tactics of Social-Democracy in the Democratic Revolution. Lenin, V. I. What is to be Done? Marxist Internet Archive. Marxists Internet Archive. Marx, Karl, and Friedrich Engels, Manifesto of the Communist Party. Marx, Karl, and Friedrich Engels, The Civil War in France. This page was last modified on 14 March 2017, at 18:10.